Über einen raffiniert angebrachten Verschluss lässt sich die die Vorderseite des Ziffernblattes öffnen. Wie immer im Safe Shop: 100% Neuware ! Hide your valuables in this clever clock with hidden safe. 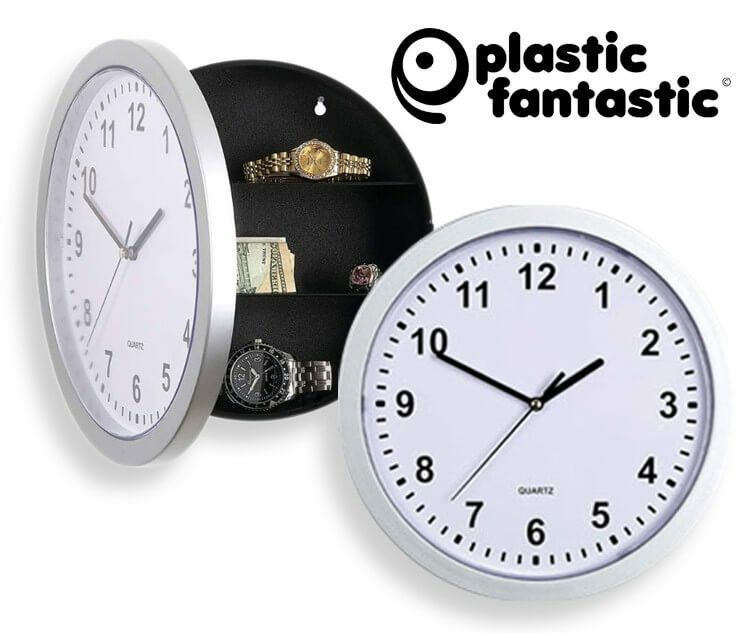 It is a wall clock with quartz movement, but also opens to reveal 3 shelves for cash, jewelry, papers and more. 9″ diameter x 2 5/8″ depth. 1 AA battery (not included).